Mr & Mrs Samuel Gallu. Galerie St. Etienne, New York. Acquired from the above by the present owner in the late 1990s. 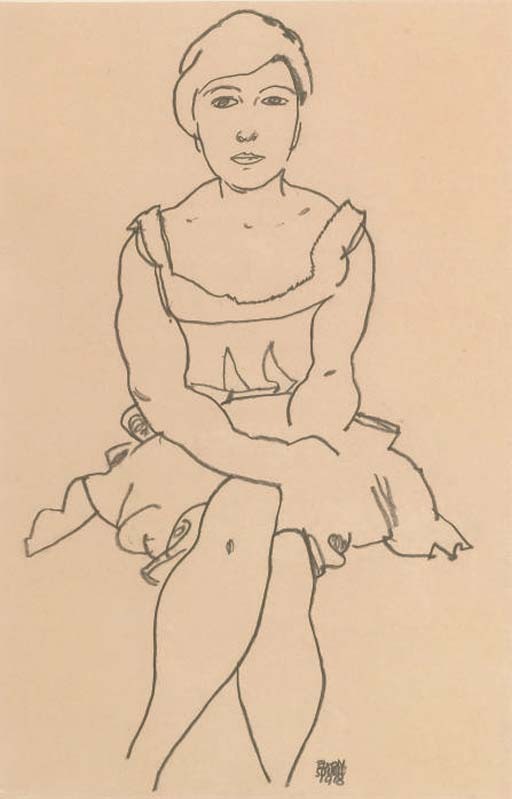 J. Kallir, Egon Schiele: The Complete Works, London and New York, 1998, no. D 2410 (illustrated p. 630). Berkeley, University Gallery, Viennese Expressionism 1910, February - March 1963, no. 79 (illustrated); this exhibition later travelled to Pasadena, Art Museum, March - April 1963. Pennsylvania, State University, Museum of Modern Art, Selected Works from the Collection of Samuel Gallu, March - May 1981, no. 21 (illustrated).